Welcome to the Matthews Library! 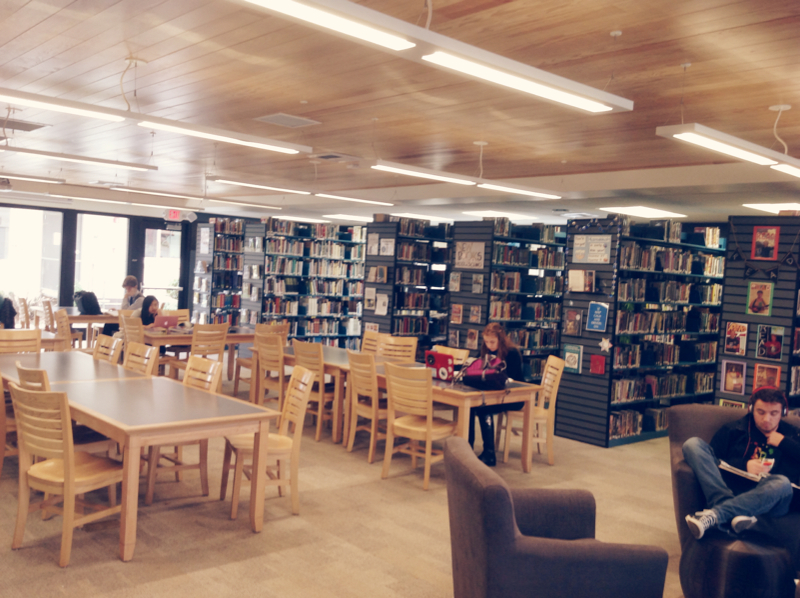 The Matthews Library serves the needs of the middle and high school students, staff, and faculty of Sacramento Country Day School. The mission of the Matthews Library is to foster lifelong learning. The two main goals of the library are to prepare students for college-level research and to continue the school’s goal of developing passionate readers. We encourage our students to be curious and interested in learning, and we provide curriculum to develop the information literacy skills necessary for 21st century learners. Our collection of about 13,000 curriculum-oriented titles includes print books, ebooks, periodicals, and films. In our fiction and non-fiction titles, we strive to represent the world’s diversity of race, nationality, gender, sexual orientation, ability, faith, and political persuasion. In addition to using iPads and laptops in the library, students can also use our Chromebooks and other laptops to access our online catalog as well as research databases and the Internet. We subscribe to numerous databases useful for student research, including Issues & Controversies and Global Issues in Context. The library is open from 7:30 a.m. until 4:30 p.m., Monday through Friday. Our staff includes one full-time librarian on duty until 3:30 p.m.; one part-time assistant librarian available through the day and for after-school reference; and volunteers who help with shelving and processing.